Pullman, Wash. • Utah defensive back Julian Blackmon viewed the opportunity to face Washington State’s scheme as “every DB’s dream,” with 50-plus passes in the air Saturday. The real-life outcome was much worse than he could have imagined. Utah’s defense adjusted successfully to Washington State’s scheme in the middle of the game and practically dominated the Cougars in the second half, only to give up an 89-yard touchdown pass in the last five minutes of WSU’s 28-24 victory at Martin Stadium. Blackmon willingly fielded questions in the postgame news conference, although there was not much to say. He acknowledged being assigned to man-to-man coverage of receiver Easop Winston, who caught the ball behind Blackmon along the right sideline at midfield and eluded safety Corrion Ballard on his way to the end zone. 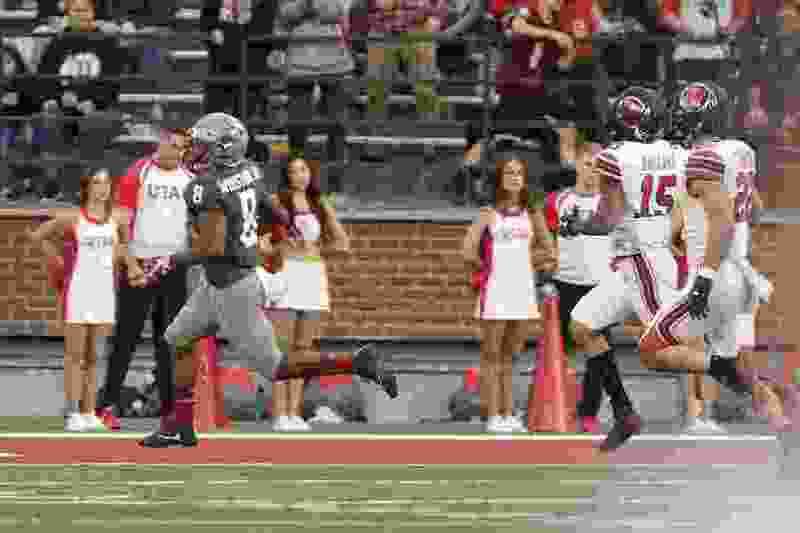 Blackmon, a junior from Layton High School, entered the season ranked as one of the country’s top cornerbacks and an NFL prospect, after his two interceptions against West Virginia in the Heart of Dallas Bowl earned him an MVP award. While a lineman and linebacker had picked off passes for Utah in the first three games, the defensive backs were looking for their first interception. Ballard got one on the Cougars’ first possession. That was it for takeaways, although the secondary deserved credit for playing much better after midway through the second quarter, when the Utes already had allowed 21 points and 241 passing yards. “Honestly, for us it was just being in better position, understanding that they were running stuff we saw on film,” Blackmon said. Cougar quarterback Gardner Minshew finished the half with 286 yards; he pushed that total only to 356 in the next 25 minutes of play, before connecting with Winston on a simple vertical route on a second-and-6 play from the WSU 11. The Cougars had endured two three-and-out sequences before the winning play, thanks to two sacks by Bradlee Anae (Cody Barton shared one of them). Minshew finished 31 of 56 for 445 yards, after Utah had allowed a total of 37 completions for 279 yards against Weber State, Northern Illinois and Washington and was ranked No. 1 nationally in multiple defensive categories. Holding the Cougars to zero rushing yards on 13 attempts will help in that area, but that’s not of much consolation.